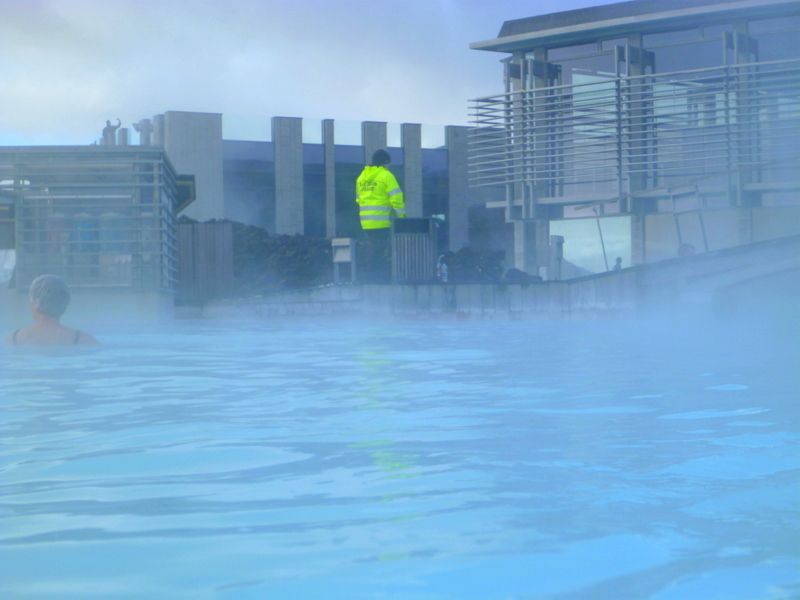 No visit to Iceland will be complete without a dip at the famous Blue Lagoon. 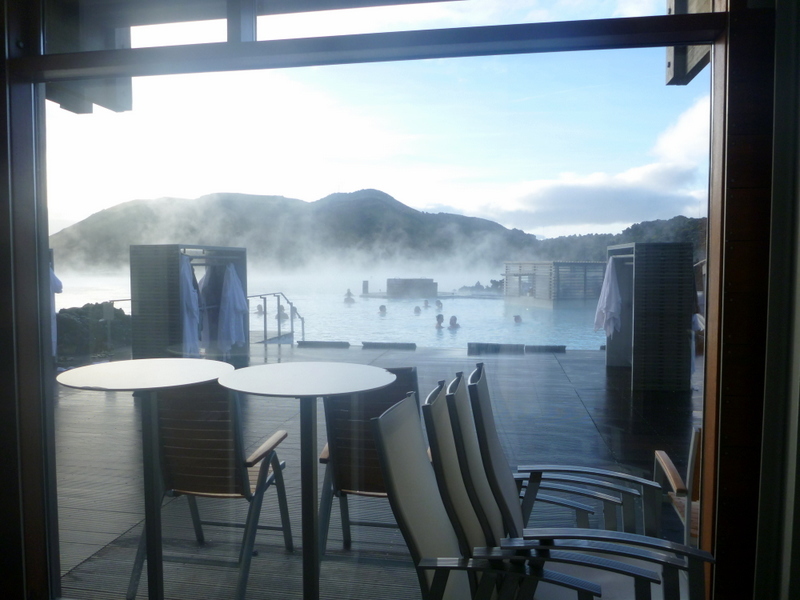 It doesn’t matter that the Blue Lagoon itself is man-made, it would be akin to visiting Paris without seeing the Eiffel Tower if you do not at least spend a few hours at the Blue Lagoon. We booked this trip towards the end of our trip in Iceland. 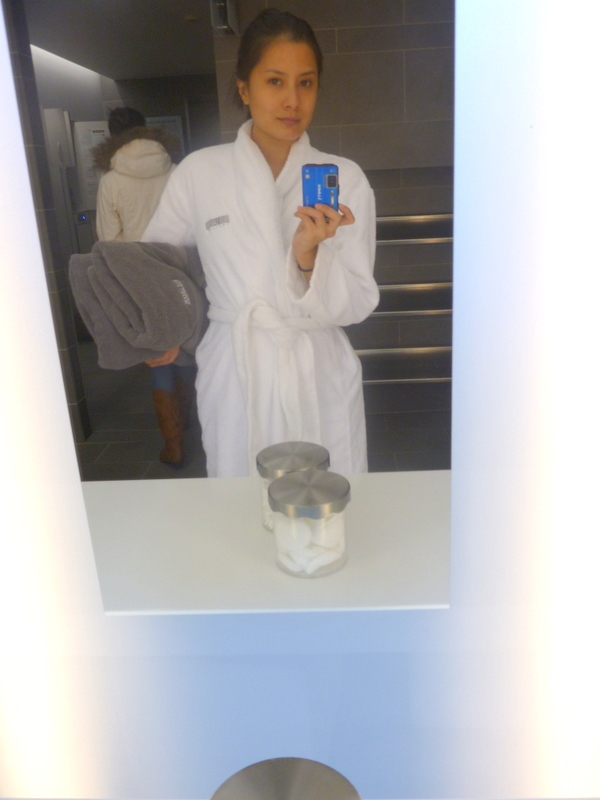 We were craving for some relaxation after days of endless action and adventure! We went early in the morning. The place wasn’t even open yet so we waited about 20 minutes, then we were briefed how to use the facility. You are given wristbands that opens and locks your personal locker, and it also shows what package you got for the day. You can view the different packages offered here. Upon entering and registering, men and women go on their own ways to change and shower. The women’s changing room is very roomy and huge, I almost got lost finding my way out! Thank goodness the place doesn’t lack in attendants. I loved the complete facilities inside. 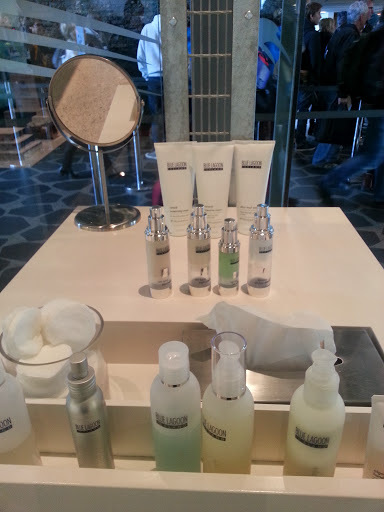 They have all toiletries you may need (body lotion, shampoo, conditioner, soap – all Blue Lagoon brand of course). And there were dressing tables too equipped with cotton balls, ear buds and hair dryer. Before entering the actual lagoon, you are asked to shower. It does add to the chill factor but hey, everyone has to do it! I met Zombie at the common area, and together we stepped out of the warmth of the building and into the cold. Okay just to show you how freezing cold it was, the lifeguards are in a freakin’ full jacket attire! Removing the robe felt like the last thing you would want to do , but the longer you prolong your agony, the harder it is. 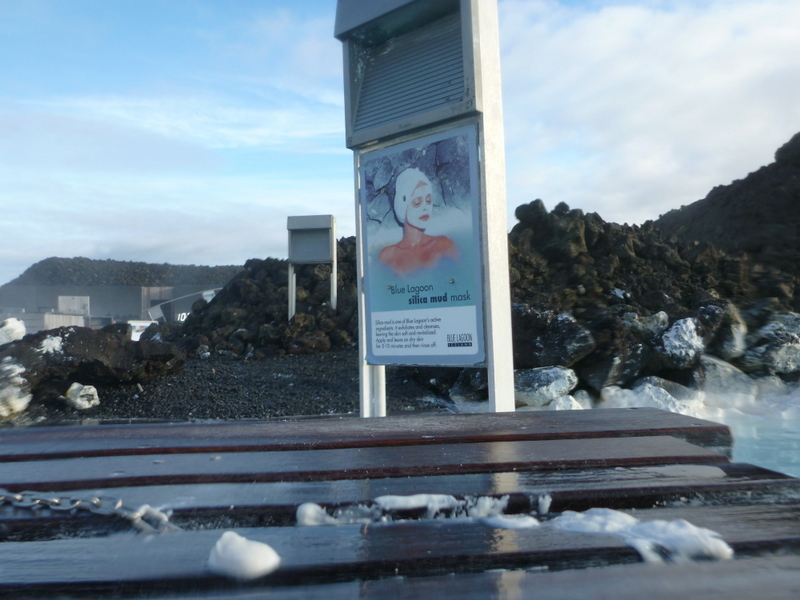 There are facial treatments available inside the Blue Lagoon spa itself but you can use the Silica mud mask for free while at the lagoon. Does it really work? Well, you tell me! The warm temperature of the water may encourage some people to drink and even have ice cream. There’s a bar that sells drinks and ice cream bars in the middle of the lagoon. 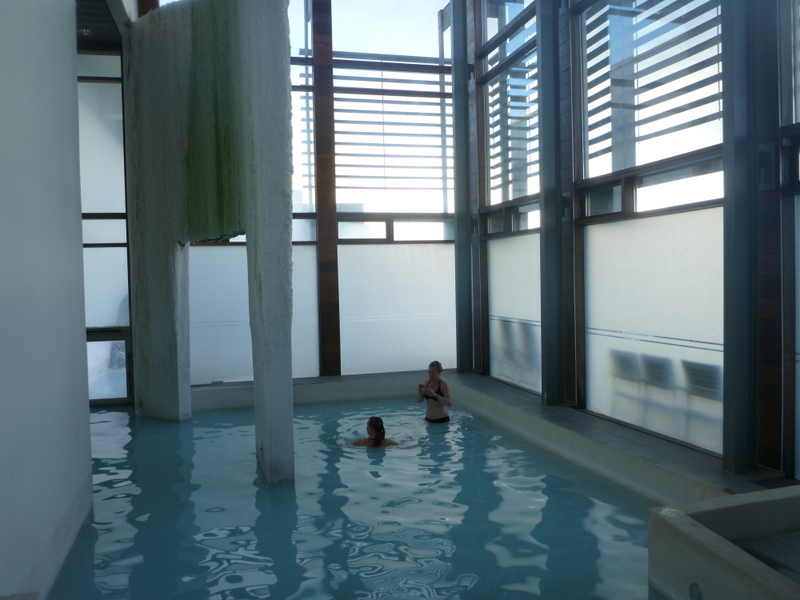 and for those who really couldn’t take the cold, there’s an indoor experience that also has the same water as the lagoon. 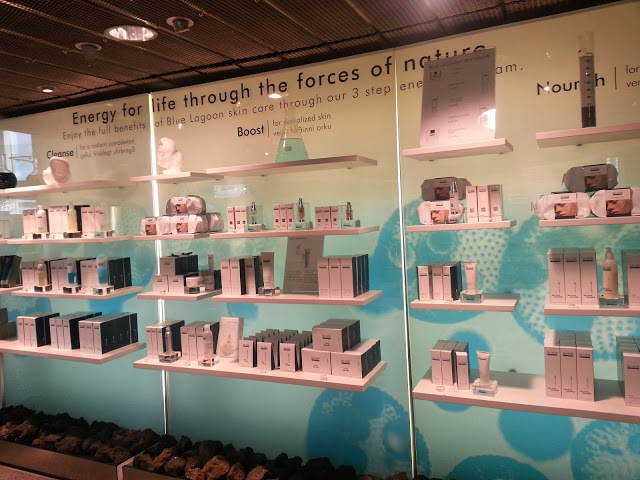 Blue Lagoon Iceland also carries their own skincare and cosmetics line and these are the best sellers in their souvenir shop. – try to come early in the morning. We took the first bus that goes from Reykjavik to the Blue Lagoon and there were only a few people. By the time we finished by mid-day, there were throngs of tourists and tour buses that arrived. Sharing the lagoon with hundreds of other people is not exactly very appealing to me. – ladies with long hair, tie and secure them in a high bun. 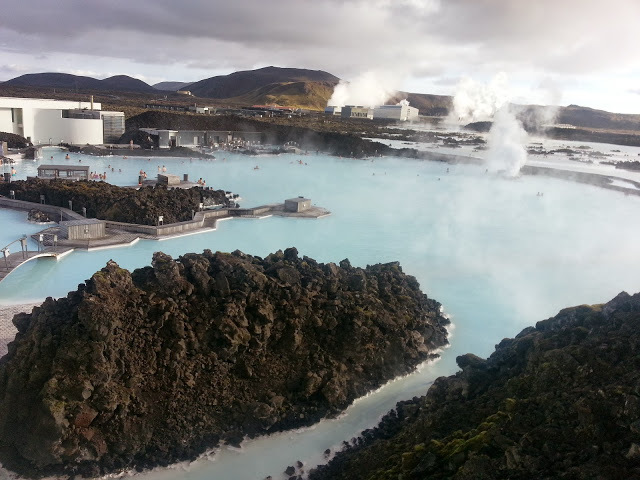 The waters contain sulfur and can be harsh to the hair. Even if I tied mine up, water still got to it, and I managed to rinse them off through heavy conditioning. – pack your old swimwear. In my case, I took bikinis that I was already going to throw out anyway. The sulfuric water may affect the material of your swimwear so my advice is not to wear your favourite, or new swimsuits. 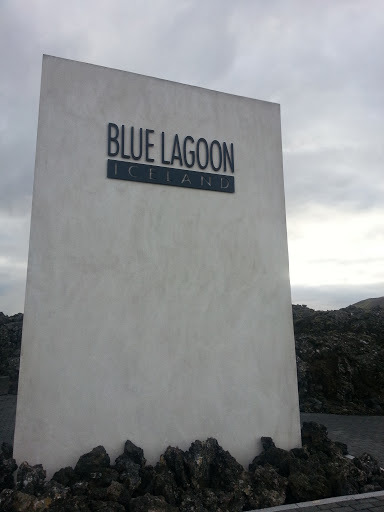 We definitely enjoyed our time at the Blue Lagoon and highly recommend it when you are visiting Iceland. 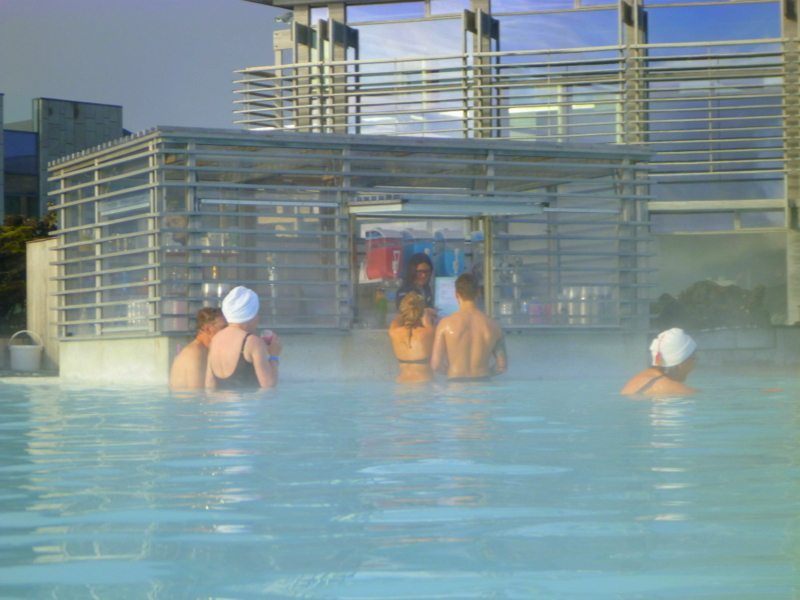 It’s close proximity to the airport also makes it a popular stopover for people before boarding their flights out of Iceland. 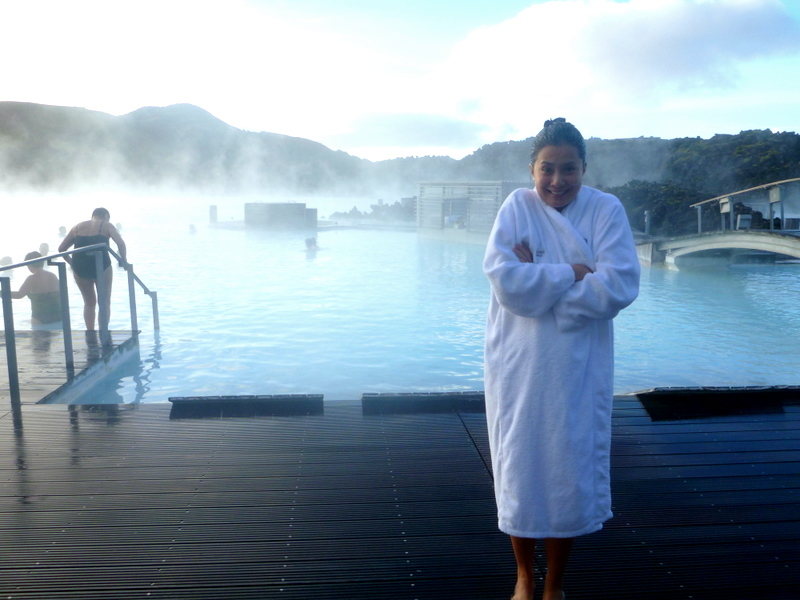 We were hosted by Blue Lagoon Iceland but this has not affected my views and opinions of the experience. wow! this looks so relaxing Jean! how did you manage the cold? haha how did I manage?? by jumping in very quickly!!! LOL no other way to it unfortunately. But it was well worth it! well well Jean to be honest I was expecting yet another jump shot or jumping stunt from the video..but because of iceland’s freezing temperature, you are forgiven 😉 jokes. great vid as always! look forward to more. Haha John! you know me too well. as much as i wanted to jump in, the water was chest level at its deepest, so yeah I dont think we’d want to see that kind of jumping vid 😉 but more to come dont worry ! Ahh Amy you’re lucky there’s also a bar in the inside area (just not within the pool just like the outdoor one) 🙂 But you should give it a go outside. i also thought I wont be able to handle it but once you get over that initial cold its all good 🙂 Nevertheless you will have fun in both pools! Hey Gordon! Yes do tell your folks about it, they will enjoy for sure. Man I can’t believe you passed along a trip to Iceland?? well not to worry its quite convenient to go especially if youre in US/Europe. cool! how did the sulfur facial mask feeL? Hi Jean! Do you know if they are open during winter?? Im headed to Iceland in 2 days time, saw your post from FB thanks! Hi Leslie YES they are open year round 🙂 And you are lucky they have Christmas lights special during the season! have fun!!! wonder if they lifeguards will have to take off all their layers of jackets before jumping in if someone needs to be saved haha ! haha im sure they will just jump right in! Dang I wish we had something like that in Sydney to cool off this summer heat! Hi Kylie, our closest would probably be Wet N Wild! havent been there yet though! Hi, my best friend and I are headed to Iceland in November. Our last day we are scheduled on a 5:30 pm flight home. 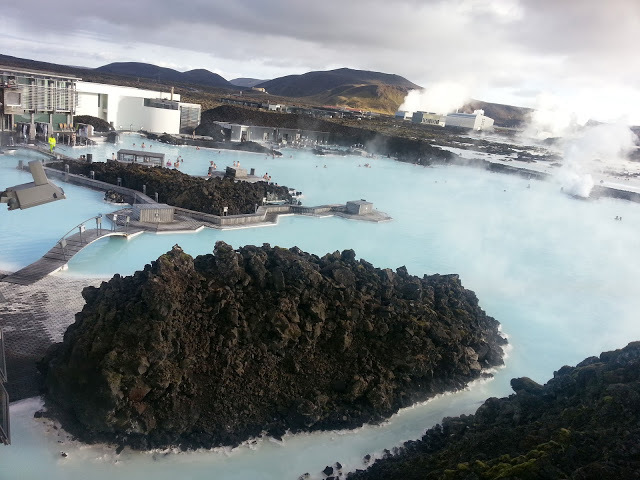 I noticed you said Blue Lagoon is popular on the last day of a trip since it is close to airport. Do they have a place to store luggage? 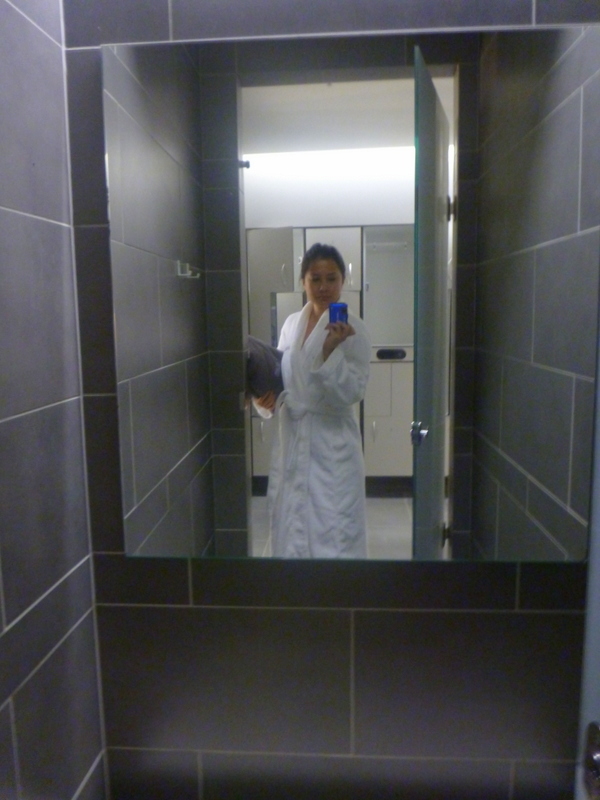 We were planning on renting a car and exploring the peninsula and visiting the spa earlier in the trip, but now I wonder if saving spa visit would be a good last day experience.